Ebook sales in the USA made up 23% of unit sales for the first six months of this year, while hardcover’s accounted for 25% and paperbacks 42% of sales. New statistics from Nielsen Books & Consumer show that ebooks were outsold by both hardcovers AND paperbacks in the first half of 2014. According to the survey, ebook sales made up 23% of unit sales for the first six months of this year, while hardcover’s accounted for 25% and paperbacks 42% of sales. So not only did overall print book sales outsell ebooks, both hardcovers and paperbacks outsold e-books as well. “The fact that print is still the dominant format with 67% combined unite sales in 2014 seems to suggest that the market has roughly stabilized. That print books are would be the majority of the market was hardly a sure bet even a few years ago. 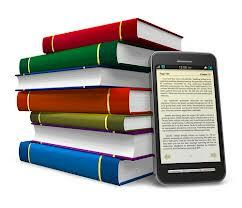 Many critics and pundits were certain that ebooks would dominate the market in as little as 5-10 years. However, we are 7 years removed from the first Kindle and ebook growth has slowed dramatically. A 67% unit sales means that paper books have an even more commanding share of dollars spent, since ebooks are much cheaper than hardcovers and cheaper than paperbacks on average. I wrote an essay to this effect a couple weeks ago, and it is nice to see the new data supports it. Is it time to finally disbelieve the hype that ebooks will kill off print? Agree or disagree? Let us know what you think in the comments.